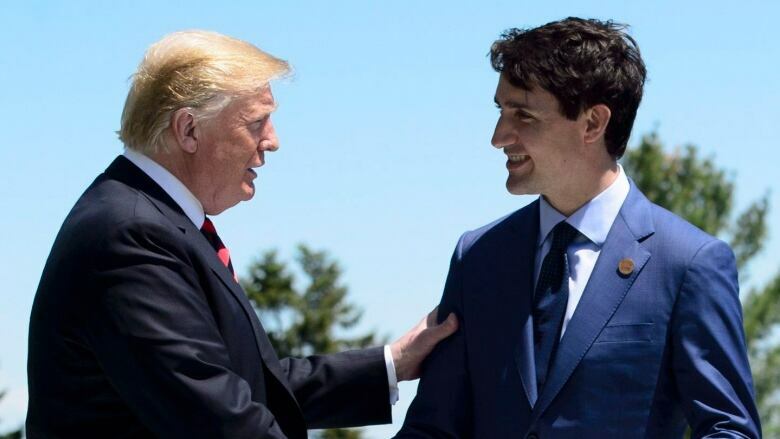 What grade are you giving Justin Trudeau on the NAFTA file? Win, lose or draw, it's a NAFTA showdown of historic proportions. One that could hit pocketbooks and radically reshape Canada's economic, political and cultural landscape. What effect is this having on you? How are you preparing for the outcome? What a week it's been on free trade. On Monday, U.S. Donald Trump announced a deal between Mexico and the U.S. He said if Canada wanted in, we had to agree by Friday. Though we now know, that deadline was flexible. So did Canada drop the ball? We haven't even at the negotiating table since the spring. Or did our trading partners bargain in bad faith? Donald Trump confirmed a report that he wasn't interested in compromising at all. The stakes are high. No deal could cripple the Canadian economy. The few details emerging suggest dairy farmers may lose some of the protected monopoly they have to sell milk and cheese. That's a big deal in Quebec. There's questions about steel, certainly in Saskatchewan, and there's also the perennial softwood issue, which is a big issue in British Columbia. And then there's shopping. The possibility of legally buying much more duty free from the U.S., even online, may seem appealing, but what if you're a retailer here in Canada? Our question today: What grade are you giving Canada's negotiation team? And given what we now know, what effect might this have on you?